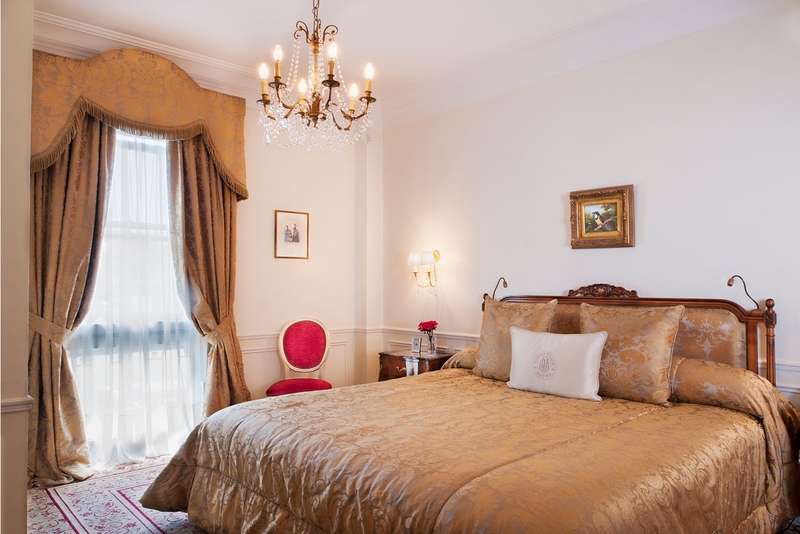 Designed to enjoy memorable moments, they feature a reception hall, an oval living room, and a comfortable bedroom. 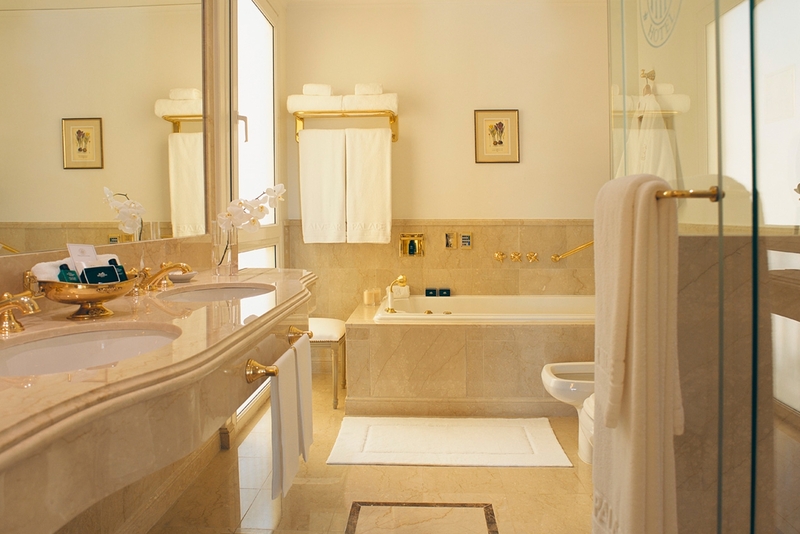 Unwind in the splendid bathroom clad in botticino marble, well-appointed with Jacuzzi, independent shower box, and exclusive Hermès toiletries. 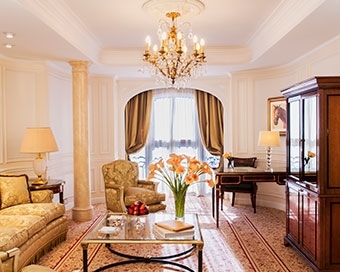 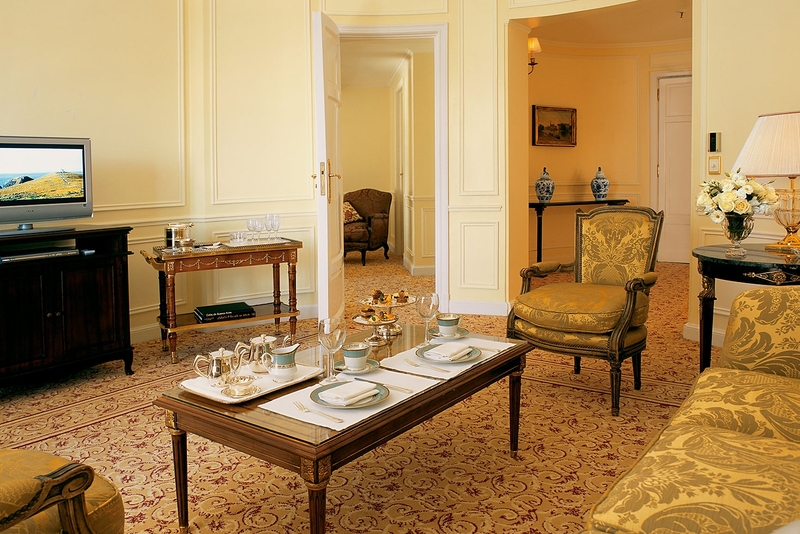 These suites are connected with Palace rooms, being perfect to welcome families, delegations, and committees. 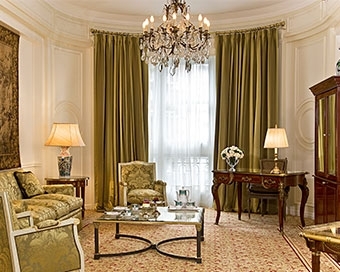 The Governor suites are situated in the bright and colorful chamfers of the building and are both ample and intimate. 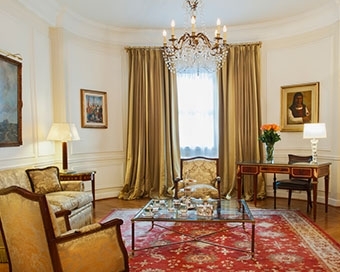 Free broadband and WIFI internet access.